Despite having numerous advantages, clinical applications of 3D printed scaffolds for tissue regeneration are extremely rare. A team consisting of POSTECH Professor of Mechanical Engineering Dong-Woo Cho, Professor Jong Won Rhie of the Department of Plastic Surgery College of Medicine at the Catholic University of Korea, and Won-Soo Yun of T&R Biofab Co., have applied 3D printing technology for correcting an asymmetric face caused by the removal of a tumor in a patient about a decade ago.The patient had trauma in the right malar region and because of this his eyes were misaligned. In this .. The fundamental concepts of physics are crucial to understanding the correlation of the structure and strength of materials. Some materials, like a steel coil spring or rubber, are elastic. Grasping a rubber ball deforms the shape momentarily before it returns to its original state. Other materials when manipulated with, such as clay, will retain its newly deformed shape. This phenomenon, called plasticity, has been studied by scientists in designing high strength steels and alloys. The demand for high-technology metallic materials continues to depend on further research and understanding of ..
Fruit of Collaboration, Medicurtain Professor Sei Kwang Hahn (MSE) developed an adhesion barrier called “Medicurtain” in collabo.. 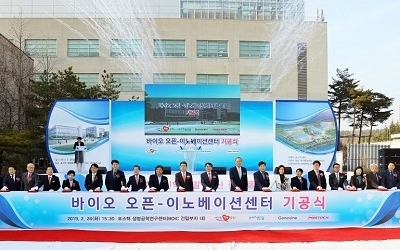 Professor Suk Bong Hong(CE and School of Environmental Science and Engineering) and Hyung Ki Min(CE, Ph.D. candidate) succeeded in converting meta-xylene to para-xylene using zeolite catalyst based on gas chromatography-mass spectrometry-computer(GC-MS-CPU) and isotope exchange method. Para-xylene which is used to make polyester fibers, plastic bottles, and films is a basic petrochemical material made through isomerization of meta-xylene, whose mechanism has been merely a hypothesis. Unlike other technologies, this technology can now be realized ex hypothesi.The research team is receiving atte..
POSTECH researchers have found a way to tightly fix bio materials by using mussel adhesive proteins (MAPS).Professor HyungJoon Cha of the Department of Chemical Engineering had developed sticky nanofibrous scaffold based on MAPS, which can be functionalized with diverse types of biomolecules. The paper supported by “Marine Bioengineering Technology Project” under the Ministry of Land, Transport, and Maritime Affairs appeared in the Angewandte Chemie International Edition published online on Oct. 19.Nanofibers are a promising tool for tissue engineering applications, and various stu..
A research te-am that consists of Professor Tae-Woo Lee (MSE), Tae-Hee Han (MSE Ph.D. ca-ndidate), Prof. Jong-Hyun Ahn (SKKU), and Prof. Byung Hee Hong (SNU) has developed graphene into organic light-emitting diode (OLED) and flexible, white light with it for the first time.This team noticed that the inefficiency of graphene in OLED can be resolved by replacing conventional indium tin oxide anodes with high-work-function, low-sheet-resistance graphene anodes. The team improved the luminous efficiencies to 37.2 Im/W for fluorescent and 102.7 Im/W for phosphorescent devices, which are higher tha.. 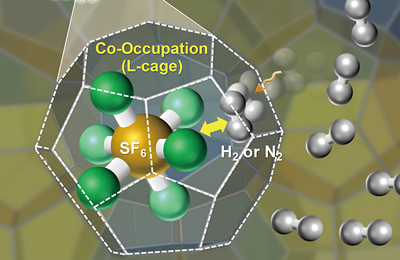 Professor Hyun M. Jang of the Department of Material Science and Engineering and a research team led by Jung-Hoon Lee, advised by Prof. Jang, recently discovered that Samarium ferrite (SmFeO3) is a multiferroics exhibiting connection between the order parameters. The result from Prof. Jang’s experiment was posted on Physical Review Letters, an authoritative paper in the physics area.Since SmFeO3 consists of orthorhombic structure, it has been known as material without magnetization; however, Prof. Jang and his research team found it actually has electrical polarization without any electr..
A new leaf-mustard kimchi season is here, stimulating appetites with the unique flavor and aroma of leaf mustard and ground red chili, plus the promise of enriched calcium.The joint research by Professor Youngsook Lee of the Department of Life Science. and Dr. Won-Yong Song and Prof. Martinoia of University of Zurich have created a way for producing the calcium-rich product.The research team found that the protein, BjPCR1, facilitates transportation to calcium absorbed from root hair of plants to inner cells. Prof. Lee’s research team demon-strated the fact that BjPCR controls the transp.. 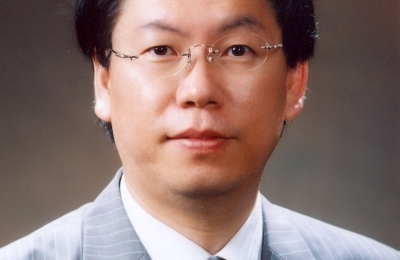 Professor Kwan Hyoung Kang of the Department of Mechanical Engineering developed anelectrohydrodynamic (EHD) pumping method for dielectric (or non-polar) liquids utilized for micro fingers of microsurgical robots. He presented a new way which relies on the EHD flow generated by the filed dependent electrical conductivity.The EHD pump is a device that converts electrical energy to mechanical energy indirectly, and it is required for the cooling system of microelectronic devices for chemical and biological analysis and micropumping of organic solvents.The results of this research are significant.. Professor HyungJoon Cha of the Department of Chemical Engineering has devised a new technique which combines Mussel Adhesive Protein (MAP) and antibody-binding protein to pin down an antibody on diverse surfaces coated with a new linker protein (BC-MAP).BC-MAP is a linker material to immobilize y-shaped antibodies onto immunosensors such as a pregnancy test which examines for infection by antigen-antibody reaction. In order to work properly, antibodies are supposed to be exactly immobilized onto surfaces.Previously, antibody-binding protein did not immobilize an antibody depending on the surfa..